Hi everyone ! 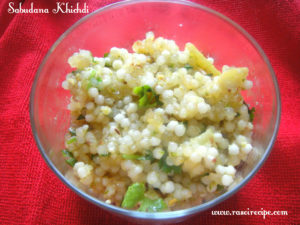 Today’s recipe is ‘Sabudana Khichdi’. This recipe is prepared by using only those ingredients which are allowed during vrat/fast. 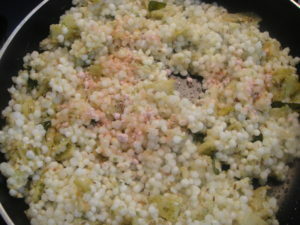 Sabudana khichdi is my childhood favourite dish. I still sometime have craving of this dish. 😀 This is an easy snack/breakfast dish. 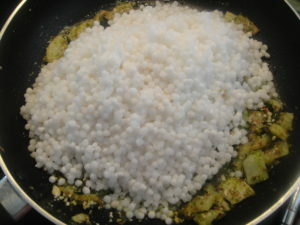 Sabudana khichdi is a very popular dish of western and northern states of India. It is a perfect dish when someone is observing a fast(vrat). 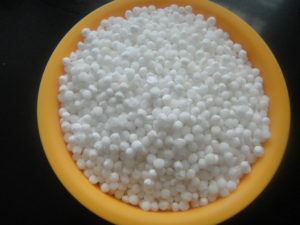 Sabudana is a Hindi word for Pearl tapioca. 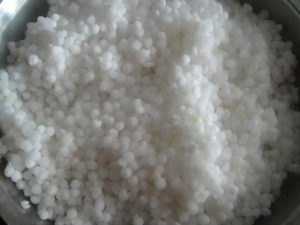 Sabudana are very rich source of carbohydrates and that’s make it a perfect choice for fast. When we add roasted peanuts in the recipe, proteins present in the peanuts makes it a balanced dish. 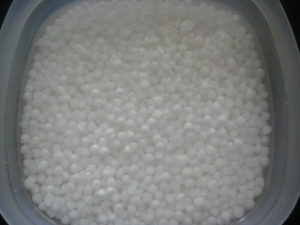 Soaking time of sabudana/ Pearl tapioca varies according to its variety. 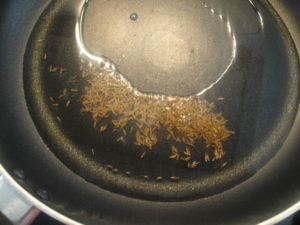 For some you need to soak them overnight or for at least 3-4 hours and for some varieties it will take only half an hour. If you feel that your khichdi is undercooked, then add half a cup of milk and cover and cook till milk disappeared. Few people mix sabudana, peanuts and salt separately. However, I add them one by one in my recipe. If you find first way more comfortable, you can use that. Check whether you need to soak for a longer time or your sabudana will take more time. Press sabudana in between your finger, if you can mash it easily, it is ready. 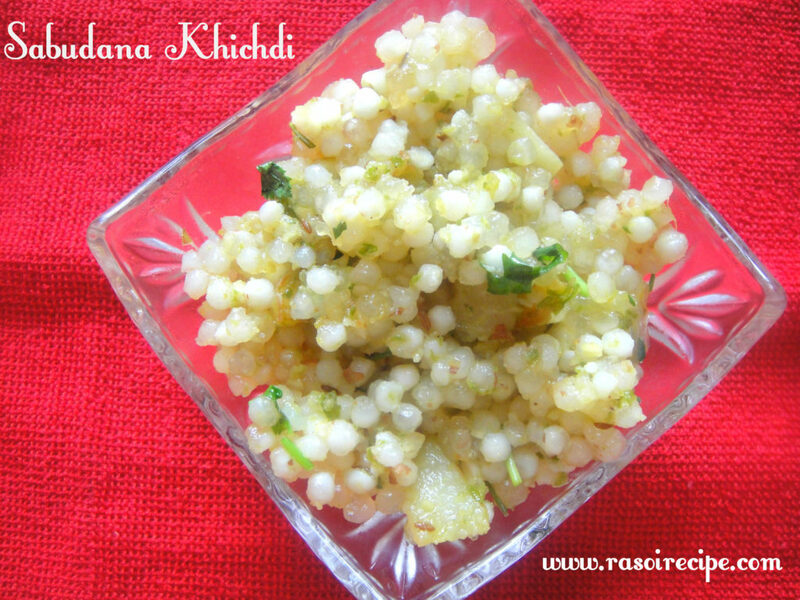 I never use boiled potatoes for my recipe, but if you have boiled potatoes you can use for this khichdi. Wash the sabudana in a vessel and soak it according to your sabudana variety. I always soak my sabudana pearls for at least 4 hours. 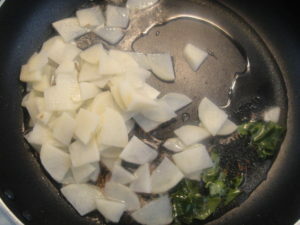 In a non-stick pan or kadhai, heat oil. Add cumin seeds and let them crackle. Add curry leaves and potatoes. Cook until potatoes are half done. 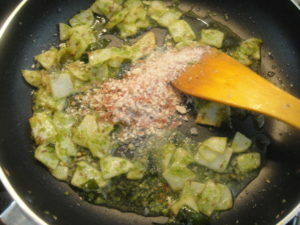 In a grinder, grind green chillies and ginger. 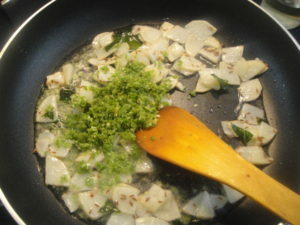 Add green chilli ginger mix in the pan. Cook until potatoes are done and raw smell of ginger goes away. Add roasted and crushed peanuts, and sugar, cook for few seconds. Stir everything well and add sabudana. Keep stirring. Use black salt for this recipe, add salt now. Mix everything and cook till sabudana pearls turns translucent from opaque. Lastly add lemon juice and chopped coriander leaves. 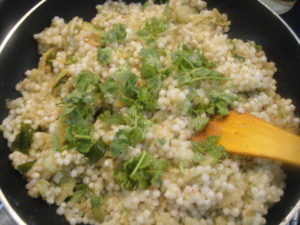 Sabudana khichdi is ready !